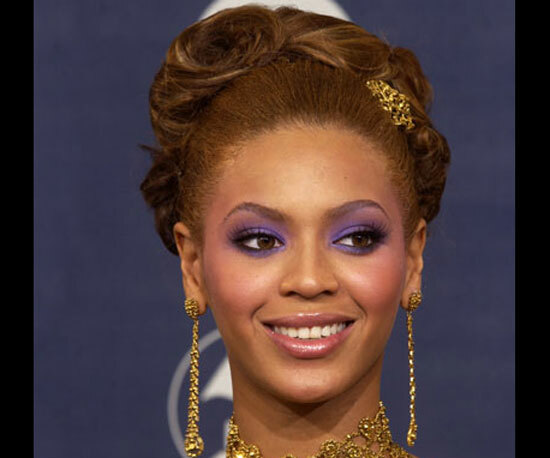 Beyonce‘s shadow is a true purple. We’re loving the bold choice of filling in the entire lid to brow in the color, which works great against her chocolate/honey/red hair. #fab!